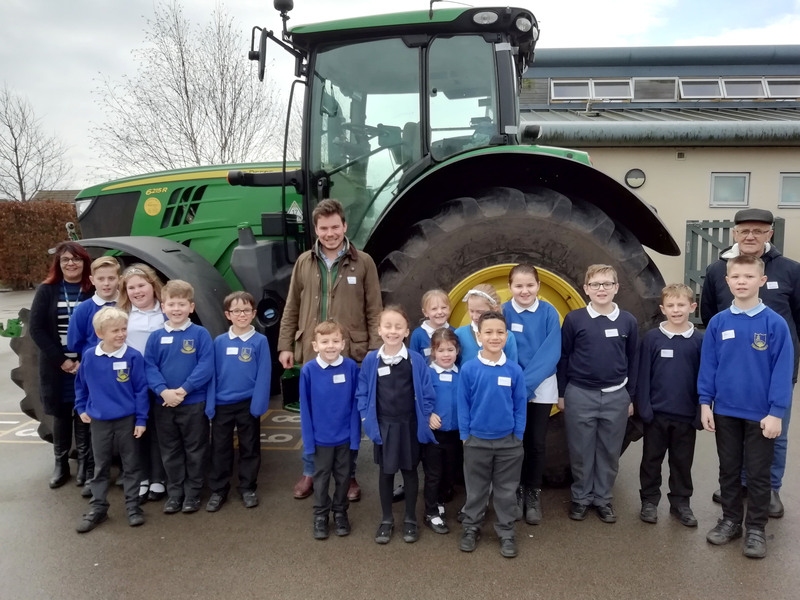 Jake talked to us about his journey through agriculture so far, how he wasn’t from a farming background but studied and worked his way up the industry to a farm manager for Velcourt before moving to Overbury Farms back in 2003. He took us through the journey for his Nuffield Scholarship in 2013 on “Breaking the wheat yield plateau in the UK” where he traveled across North America and New Zealand looking at how no till, crop rotation and the re-introduction of livestock can be used to improve soil health and in turn improve yield. 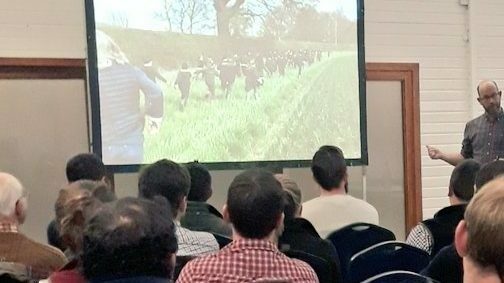 This lead us on nicely to the changes Jake has made in recent years at Overbury Farms, moving to a no-till system, reducing fertiliser, insecticide and herbicide use and stopping using seed dressings altogether. Cover crops are used ahead of spring crops and grazed by sheep over winter. The sheep enterprise has been expanded, with short term grass leys being added into the arable rotation to provide additional forage. Jake emphasised the point that livestock are key, and he is getting the sheep around as much of the farm as possible. I was particularly interested to hear about the diverse mix of cover crops, and companion crops that Jake is using – lots of inspiration for me to be a little more creative back at home! Jake took plenty of excellent questions from the group throughout the evening, which was rounded off by a lively Q&A at the end – I think it’s safe to say that we all left with plenty of ideas! Cultiv8 February- 21st February 2019- Making a Success of Succession. Click here to find out more.